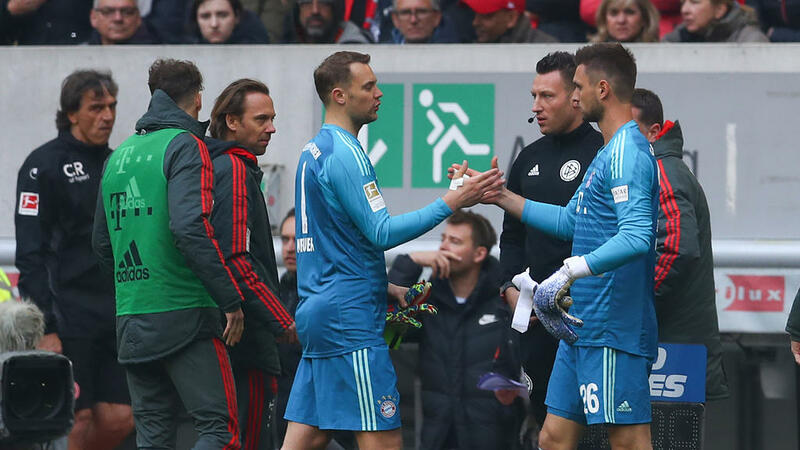 Bayern Munich goalkeeper Manuel Neuer may face another spell on the sidelines after being substituted with a calf injury during Sunday's win over Fortuna Duesseldorf. He was immediately taken off, and Bayern coach Niko Kovac confirmed after the game that it was the same calf problem which saw Neuer miss two games earlier this month. "It is the same calf that has caused him problems recently," said Kovac. "We will examine him tomorrow, and we obviously hope it is nothing serious."